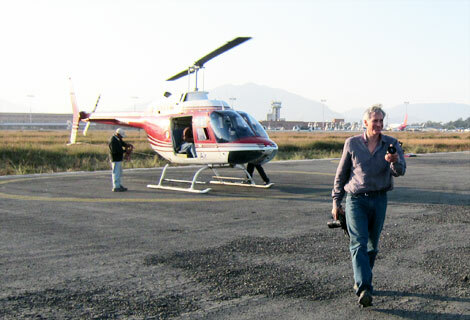 Acclaimed Mountaineer & Filmmaker David Breashears Flies with Fishtail Air – Summit Helicopters Pvt. Ltd. The latest in the long line of celebrities to fly with Fishtail Air is none other than acclaimed American mountaineer, filmmaker & author David Breashears. Best known for his involvement on path-breaking films on Mount Everest and the Himalayas (feature films – ‘Cliffhanger’ & ‘Seven Years in Tibet’, documentaries – ‘Everest’, ‘Red Flag Over Tibet, ‘Storm Over Everest’ etc), David has summitted Mount Everest five times. He pulled off his fifth summit while filming on the mountain. 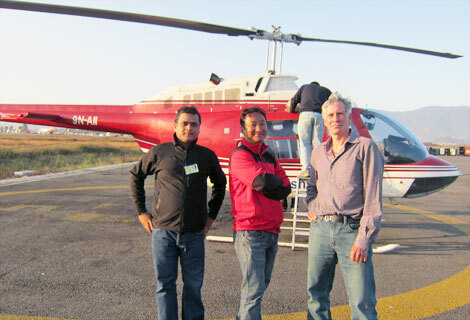 On December 2nd, 2011 David Breashears took an aerial sightseeing tour of Kathmandu Valley on board Fishtail Air’s Bell Jet Ranger . Capt. 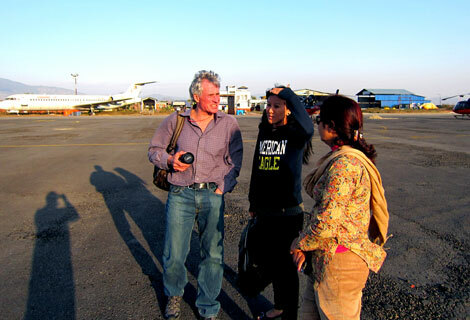 Ashish Sherchan flew Breashears high over the city, allowing him to enjoy a bird’s eye view of the entire valley.